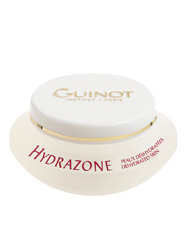 Hydrazone, Dry Skin, For dehydrated dry skin the softness of this cream is perceptible as soon as it is applied and it provides permanent comfort. Restores the skins hydrolipidic film, plumps dry lines. UVA/UVB filters shield the skin against the drying effects of low humidity, sun, wind and cold.